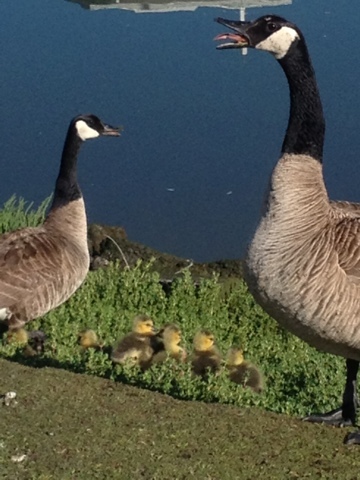 Adorable little baby geese are out and about at the office! Hooray! So are the angry baby daddies!